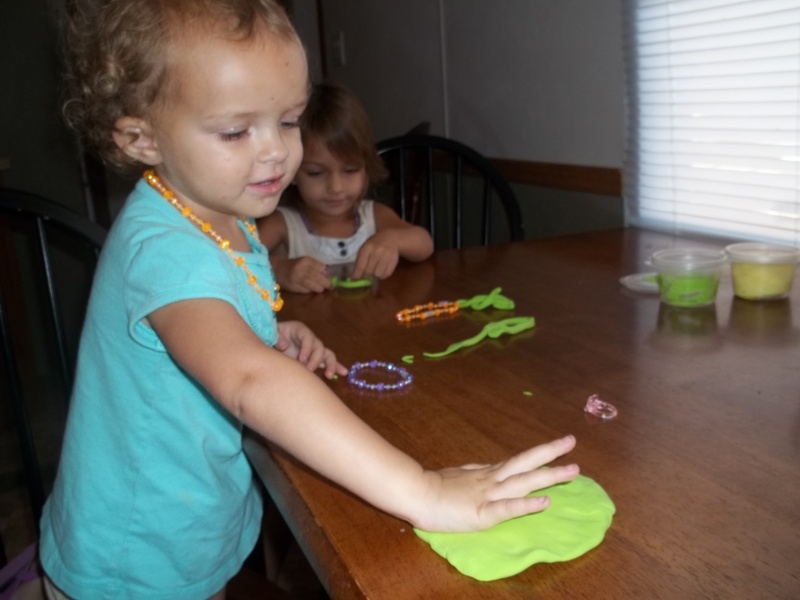 My girls love doing crafts and I love doing crafts with them. There is just something about seeing creativity flow from their little minds, and little hands, that fills me with joy. 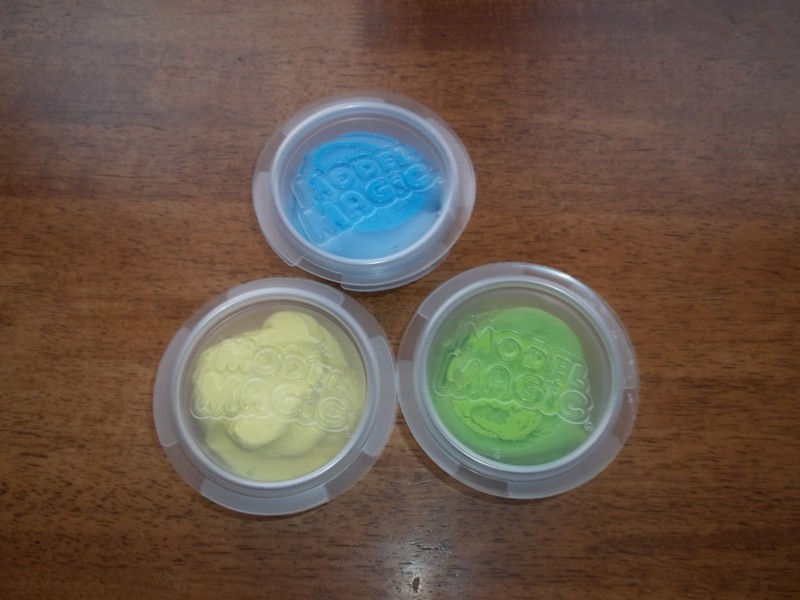 Here is a fun (and easy) craft to do with little ones. I especially love doing this craft because it leaves me with something I just can’t get enough of…lasting memories (and cute little hand prints that I can get all sentimental over as my kids get older). First you need this Model Magic. To be honest, a friend bought this for my girls last year and told me about using it to make handprints. I don’t know how much it costs. 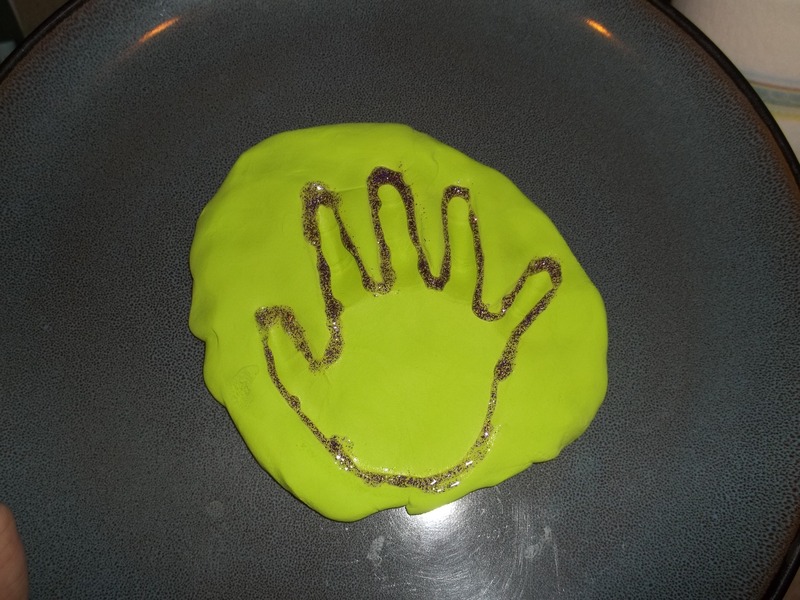 Once you get a nice hand print, you really need to make it “pop” or you will end up holding it up to the light and squinting your eyes to really get a good look at the print. We like to use glitter glue for this. Now you just need to let it sit out and wait for it to get hard. I think it takes a day or two for this to happen. This is the second time we’ve done this craft. The first time was a year ago, so now we have two sets of hand prints. Olivia was sleeping when we were doing all this but when she wakes up, she will get her hand print done too. 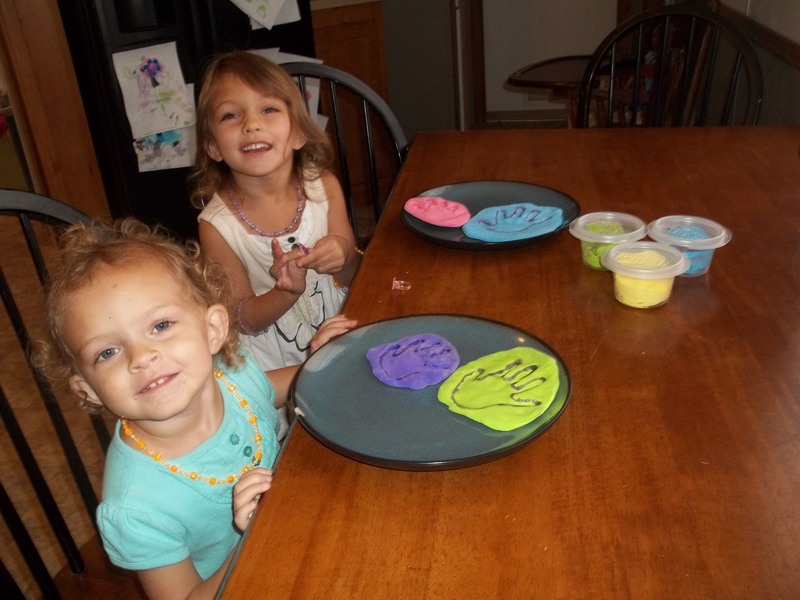 Emma and Paige showing off their hand prints from 2011 and 2012 (today). I’ve had their prints displayed on the top of my bookshelf for the past year. I’ve always wanted to get a boxed picture frame to put them in and may have to go out and see what I can find later. I already have that “how can they be growing so fast? ?” feeling. Good post. I learn something totally new and challenging on sites I stumbleupon everyday. It’s always exciting to read articles from other authors and practice something from other sites.